If you are looking for a Ford dealer near Waukesha that offers customized trucks for sale, stop by Ewald? Ewald’s Hartford Ford has the selection of lifted Ford trucks for sale in WI that you want. Each customized truck at Ewald’s Venus Ford comes with a warranty! There is no need to drop thousands afterward and wonder about what type of warranty you will be getting. When you buy one of our lifted Ford trucks from our Ford dealer near Waukesha of Ewald’s Venus Ford, we have you covered. Head to your Ford dealer near Waukesha and see one of the many Ford lifted trucks for sale today. Ewald’s Venus Ford is your one-stop-shop for all of your lifted truck for sale in WI needs. When you want to drive travel down the streets of Wisconsin with and vehicle for sale that is sure to turn heads we have the Ford truck for you. Like the Tuscany Badlander Ford F-250 Lariat for sale at Ewald’s Venus Ford. This new Ford lifted truck for sale combines durability, looks, and performance all in one truck. This beautiful new lifted truck for sale in WI comes equipped with many customized features. With the equipped lift kit and custom wheel allows for higher ground clearance. Power running boards, a custom hood, and more are also included on this new lifted truck for sale in WI. This awesome lifted Ford truck for sale in WI also comes with features like a rear backup camera. A rear backup camera makes more accessible to get into and out of even the tightest of parking spaces with ease. It also makes hooking up a trailer a breeze. Hookup your work trailer, boat trailer, or camper solo with this feature. Remote keyless entry and Bluetooth connection can also be found on this lifted Ford truck for sale. Come and check out this lifted Ford truck for sale and take it for a test drive around Cudahy WI today. 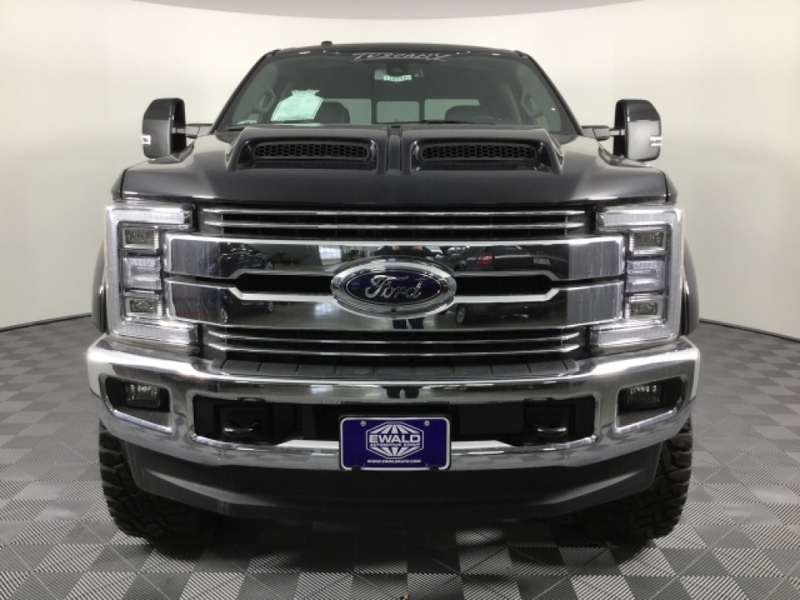 When it comes to lifted Ford trucks for sale, Ewald’s Venus Ford is the only Ford dealer near Waukesha that you need. We look forward to having you discover all that we have to offer you in lifted Ford trucks for sale in WI. Ewald's Venus Ford takes pride in providing you with the best buying experience possible. When you check out our lifted Ford trucks for sale, it is no different. When it comes to buying lifted trucks for sale in WI, Ewald’s Venus Ford is here for you. Check out our outstanding inventory selection of lifted Ford trucks for sale today. 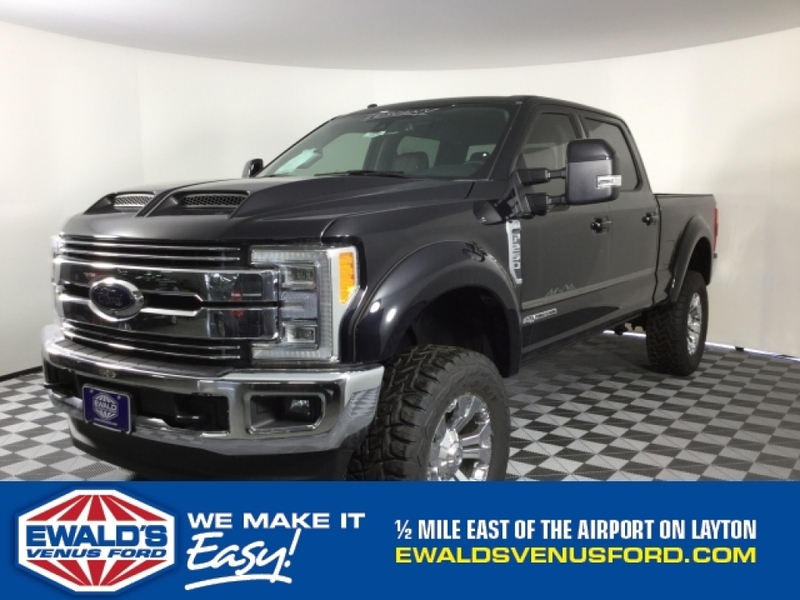 Whether you choose a Ford lifted truck for sale or another new or used car, truck, or SUV, we have the right vehicle waiting for you at Ewald’s Venus Ford. Visit Ewald’s Venus Ford at 2727 E Layton Ave. Cudahy, WI 53110. Or give us to schedule an appointment at (414) 236-7442.